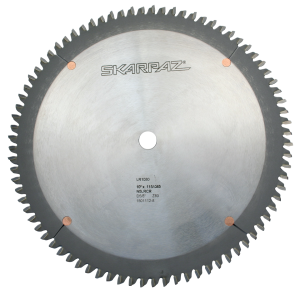 Cut double sided laminates and veneers chip free without a scoring saw. A negative hook angle plus a “high” alternate top are featured in this design. 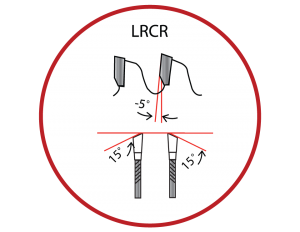 LXT carbide is used to prolong edge life between sharpening. LR860 8" 60T N5LRCR .085 .115 5/8"
LR1080 10" 80T N5LRCR .085 .115 5/8"
LR1210 12" 100T N5LRCR .085 .125 1"
LR1410 14" 100T N5LRCR .098 .138 1"
LR1610 16" 120T N5LRCR .120 .150 1"
LR18108 18" 108T N5LRCR .134 .173 1"